The birth of Jesus Christ was one of the many infallible proofs that God keeps His covenant promises, and that His Word is completely true. What amazing words we read right in this text. Surely they evoked wonder and curiosity in those who heard them in Isaiah’s day. And yet, when we come to the New Testament, it is then that we learn the full significance of these words. How often is it not the case, brother and sister, that we read a text in the Old Testament that mystifies us, and then turning to the New Testament Scriptures, we find its full meaning and interpretation opened up to us? So when we come to the first chapter of Matthew’s gospel, we learn that this text prophesies the birth of Christ, specifically highlighting the supernatural nature of His birth. But perhaps you ask the question, Why in the midst of this passage — wherein God’s unbelieving people of the Old Covenant dispensation, who had sought out the prophet for a message of hope and deliverance from their earthly enemies — why does the prophet then give to them this prophecy concerning the supernatural birth of Messiah? Ah, brother and sister, the answer is so simple and obvious that it rushes right past our earth-bound and materialistically oriented minds! What is the great hope of God’s people in both Old and New Testament alike? To whom were God’s people in both the Old and New Testament economies alike to look for their salvation, hope and deliverance in all circumstances of life? Or particularly, in times of trial and great adversity, where do we look for help and deliverance, especially when we are surrounded by our enemies on every side? Is it not to the promised Messiah, the seed of the woman, the son of David, the Christ himself? God in infinite wisdom had purposed to chastise an unbelieving generation in Isaiah’s day. As part of that chastisement, Jerusalem would eventually fall, and the Jews would be scattered throughout the world. But God had never forgotten His covenant promise from ages past. And now, at this point, when His people are in trouble, He points them not to a materialistic, earth-oriented, fleshly deliverance, but to the spiritual realms of glory, to the promises of His Word, and the hope of salvation He gives. The unbelieving king Ahaz in mock piety rejects the divine offer of a sign, but God would give a sign nonetheless: The promised Son must be born supernaturally, and He shall bear an extraordinary name: IMMANUEL, GOD WITH US. Brother and sister, let us learn from this passage that the success of God’s redemptive and covenant purposes does not depend upon the strength or weakness of our faith, nor does their success depend upon earthly means. Men may reject the promises of His Word. Scoffers may disdain the Gospel message. Saints may in their weakness find themselves beset with doubts of all kinds. False teachers may pervert the very message of hope. Yet the word of promise still stands, and the purpose of God will never be overturned! Whenever we think upon the birth of Jesus Christ, let us remember and reflect on the fact that God’s purpose to send His Son to save sinners from their sin was not in any way frustrated or delayed because of the unbelief of man, or because the times were never ripe for a supernatural deliverance. Indeed, we are spiritual fools if think that a supernatural deliverance of God must depend on whether or not the circumstances or timing are ripe in our eyes. But in the fullness of time — at God’s appointed time, not too early, nor too late, but at just the right time — Christ was born of a women, under the law, so that He might redeem those who are under the curse of the law (Galatians 4:4-5). Oh my friends, take comfort in the season of celebration not in home or family, not in possessions or friends, not in the strength of your Christmas joy or in the lack thereof. But take comfort and encouragement that the birth of Christ was yet another of the many infallible proofs that God would provide that He keeps His covenant promises, and that all the words of God are yea, and Amen (2 Corinthians 1:20)! The comfort of Christmas rests in this reality: THE LORD HIMSELF SHALL GIVE YOU A SIGN! 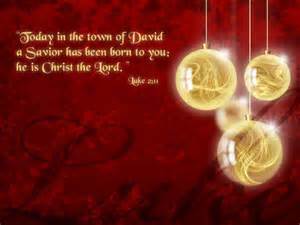 That sign was the supernatural birth of the divine Savior whose name is IMMANUEL, GOD WITH US. Stephen M. Cope is a long-time friend of TeachingTheWord Ministries, but is a new contributor to our Bible Knowledgebase. He professed faith in Christ at age nine through the teaching of his mother, and later attended Bob Jones University and Seminary. He holds a B. A. in History and an M. A. in Church History, and has completed most of the work for a Ph. D. in Church History and Theology. He currently resides in Taylors, South Carolina, and is seeking the Lord’s guidance concerning future ministry and service to Christ’s church.